Have you ever been in a situation where there are just TOO MANY cooks in the kitchen? Sometimes putting on an event where decisions are made by committee can feel just that way. Here are 5 Tips for running an event committee meeting. Set an agenda and STICK TO IT: Inevitably, someone will try to derail you from your agenda, it is your job to STOP that! Set the expectation at the start that it in the interest of time it is imperative that you adhere as strictly as possible to your agenda. When the conversation is hi-jacked politely reign it back in by ensuring, you will get there when that agenda line item is brought up. Other best practices? start ON TIME and end ON TIME-be respectful of everyone’s busy schedules. Remove all distractions: Choose a location that is quiet and has little outside distraction–no real need for food/refreshments. Ask your committee members to put away all phones and focus for 45-6o minutes of time. By eliminating distractions and keeping it all business, you can ensure things will run smoothly. 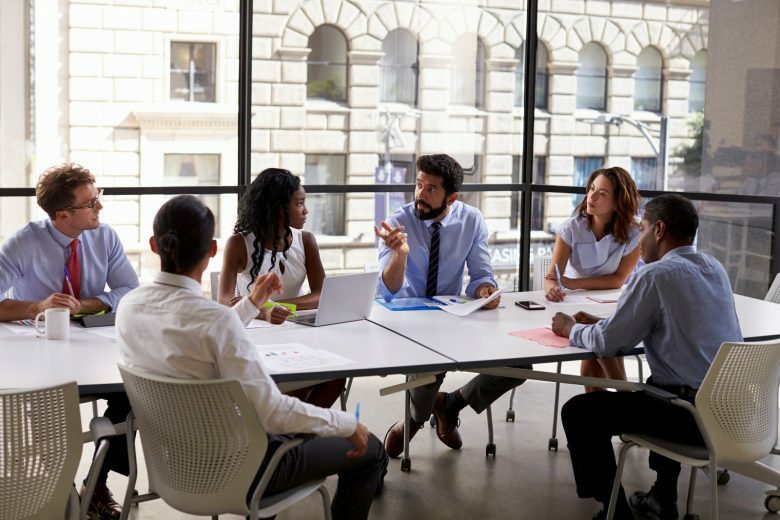 Avoid going down a rabbit hole: Committees are generally made up of people who believe their input is valuable in some way and therefore they would like to share. The result can be a lot of extraneous discussion around topics that might not necessarily need all that much discussion. Know when to table discussions that have taken a turn away from productivity. A simple “All good ideas, let’s pause this conversation for a moment and come back to the agenda”–should get the meeting back on track. Don’t get too far into the weeds: piggy-backing on the topic above, no need to dive deep into the nitty gritty details of your event. Keep your meeting high-level with specific action items for those in attendance. 1-2 people on your committee should be responsible for managing and executing all of the details. The Loudest Person in the room is not always right: Be weary of the person who knows all of the answers. As the meeting runner, you need to manage the person/people who tend to “bully” the rest of the group. Often times these are the same people who will take your agenda way off task. First attempt the gentle tactics presented above to guide them back on track . If the problem persists, a delicate 1:1 conversation is not out of line. But most importantly, be fair, take all opinions on the floor and then make decisions based on what is in the best interest of the event and the committee members who are putting it on. From the initial point of contact to post event surveying, attendees are happiest when they are informed. Put yourself in your attendee’s shoes–keeping in mind these people will be of all different competency levels. Hint: you should plan your communications based on the lowest common denominator-assume your attendees need you to hold their hand as they walk through the event. Utilize email, social media platforms and event apps to communicate pertinent information to your attendees regarding all relevant event details. Sharing logistics across a multitude of platforms will ensure everyone receives your important information. At your event be sure to have clear signage and wayfinding tools to help move your attendees around the event. Enlist the help of “ambassadors” to help give your attendees a personal touch, setting their mind at ease and making them feel pampered. Nobody likes to wait in line, ever. Take the number of people you are planning to have run registration and double it. Now take the number of bars and food lines and do the same. The registration table is one of the first impressions you give to your attendees. Make sure whomever you task with running registration is trained on what they are supposed to do; nothing is worse than a frazzled person trying to find your name amongst a sea of spreadsheets. So be organized and think through the most efficient way to move people through the line. For events where you will be serving cocktails, add a couple extra grab and go stations for beer/pop/water. 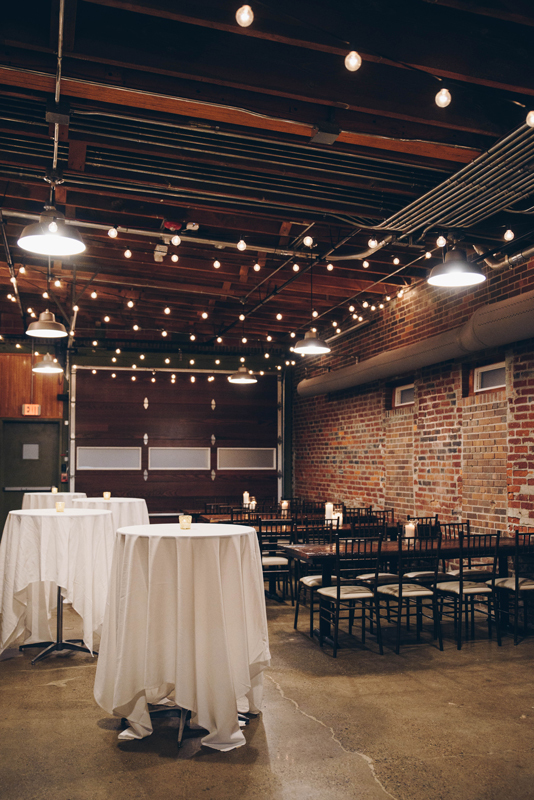 Place bars in different locations throughout the space so attendees have options. Attendees will get sassy when they have to wait 10 minutes in line for a drink. Not a good look, so be prepared with more than enough staff to serve your guests! Before you begin planning your event, you should have identified what your specific goals are for even throwing it in the first place! Once you have your goals established and your ideal attendee profile created, tailor a program that will bring the most value to that group. Pairing quality of content within the right time-frame will directly effect how successful your event becomes, so make sure you are thinking that through. Events are a dime a dozen these days, how is your event special? Develop an attendee engagement plan where you are actively employing different measurable tactics that stimulate your attendees. Attention spans are short, so be sure to provide your attendee with a variety of different program elements and get booties out of seats often! Leverage creativity to ensure your message is received and ROI is achieved. Please feed and water me. Avoid making your attendees hangry by providing them with some fuel throughout the course of your event. No matter the length of the event, at minimum people are expecting planned access to beverages. Show them you knew they were coming by having some sort of refreshments. Just a small and simple coffee/tea station with some power bars will keep energy and attitudes up! Comfy shoes and appropriate attire: When I am packing my event bag, I like to put my mama bear hat on as if I am preparing a bag for a 4 year old’s trip to the zoo. For set up you’re going to want you comfiest shoes and casual, easy to move in clothes. Transitioning into event time, I pack slightly upgraded comfortable shoes (save your heels for another time) and my preference for attire is a comfortable version of whatever the attendees would normally be wearing in an attempt to blend in. Layering is always a good option. Typically venues are kept a little chilly. My go to is a nice short-sleeved top underneath a blazer or sweater. That way when stresses run high, I can shed a layer and likewise add it back in when there is some downtime. Always a must is my “Event Manager” name badge and of course a smile! Event Timeline & Vendor Contacts: Either a printed or digital version of the event timeline (including vendor schedules) as well as all vendor contact info is a MUST! The last thing you want to do is scramble trying to find information in the heat of the moment. Be proactive by having this information right at your fingertips when necessary. Tangibles: I will again put my mama bear hat back on for this one: Energy snacks, water, scissors, tape, pens and markers, twine, phone, chargers, wallet…etc. A curated mix of fuel for my body as well as any “survival tools.” Think items that are versatile tools that can assist with any sort of event issues requiring a little resourceful hacking. What is in your event manager tool box? ​The world is your oyster when choosing a venue…so think creatively! landing pages and email campaigns. Thank them at every chance you can: public speeches, board meeting, ads, social media…etc. Also brainstorm ways to provide them extra perks at the event—think a VIP reception with great PR coverage. 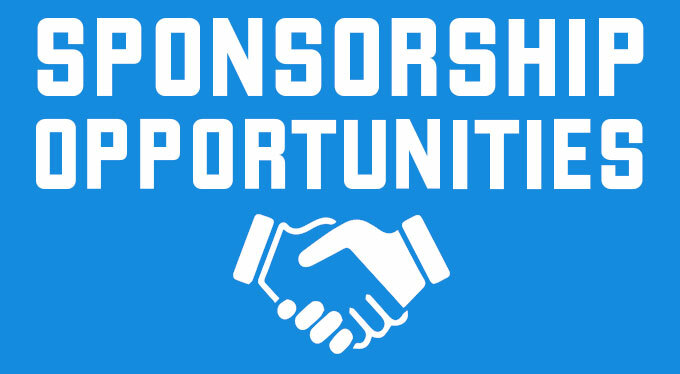 opportunity for you to “touch” your client by providing insights into the value of their sponsorship! multiple public thank yous and maybe even an opportunity to emcee the event! cocktail or glassware can heighten the sponsor’s visibility. branded menu at each seat can set this sponsor apart! “Powered By” the sponsor-creating continuous brand visibility, positive recognition and ROI. attendee experience. The musician can give the sponsor lots of shout outs between songs! and promises should be met! Getting People to Your Events! Build event momentum: Talk about your event a lot and share all the exciting things that will be happening at it. Highlight your speakers, share content teasers, and advertise giveaways. Use your social media outlets to reach your audience. Take advantage of targeted ads to boost your post engagements and make updates frequently to ensure you are at the forefront of your audience’s mind. Encourage your in-house staff and early bird attendees to share the event information on their social media, thus increasing your reach. Ask your speakers if they wouldn’t mind writing a short blog post to provide a sneak-peak into what they will be sharing. Make it clear that this is the event that is NOT to be missed! Determine ROI Measurement Strategy: Your ROI strategy will be intimately tied to the efforts of your marketing strategy. Leverage the power of social media and engage your attendees early. For example, associating a hashtag with everything these days is common practice –so come up with something creative and work that hashtag. Implement an intentional social media plan. Pose questions, provide visual and interactive “shareable moments” and incentive your attendees to share. This will increase your social media participation and thereby increase your event reach AKA- FREE marketing! By vocalizing your hashtag early (prior to event) you can also start to build momentum for the event itself, getting attendees excited for what is to come. Likewise, you can utilize the hashtag following the event to sustain the excitement and encourage attendee feedback. Make sure you are encouraging pointed attendee participation throughout the event and asking specific questions about what your attendees are responding to. Guide conversation but allow organic feedback to surface. Be the facilitator of participation but don’t overly interfere. Create a fine balance between encouraging the conversation while avoiding contrived and somewhat superficial dialogue.In addition to social media event specific apps can be employed to build a community around your event. As the event organizer you can post updates and information to attendees prior to, during and following events. These apps are also equipped with detailed analytics that can demonstrate how active attendees were and gauge overall reception. If you want to get really detailed on seeing quantitative results on how your event was received, you might consider adding an Advertising Agency to your team of gurus to implement a more detailed strategy. Phase 3 can be a bit overwhelming, so creating a reliable and capable team to delegate tasks to is vital. Next time we will watch our event come to life as we talk about Event Production and ways to review our event’s success.